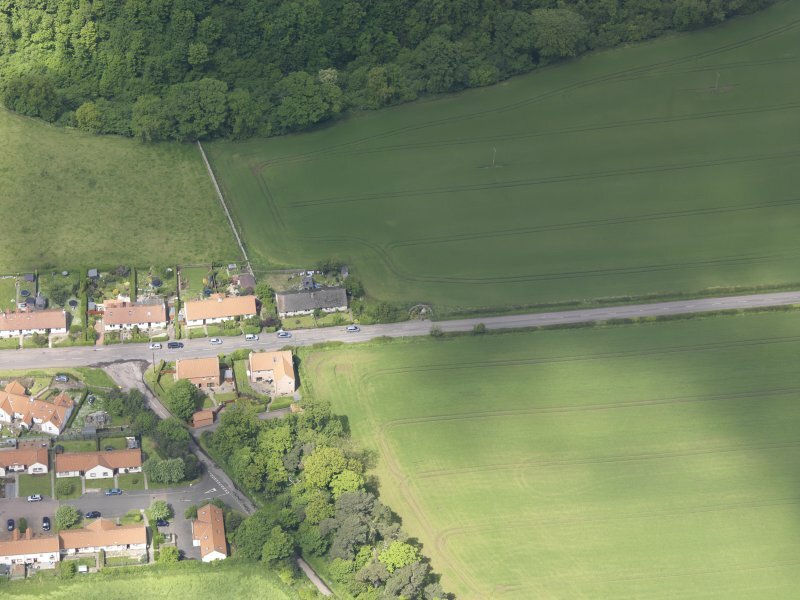 Oblique aerial view of Rood Well Stenton, taken from the S.
Oblique aerial view of Rood Well Stenton, taken from the SE. 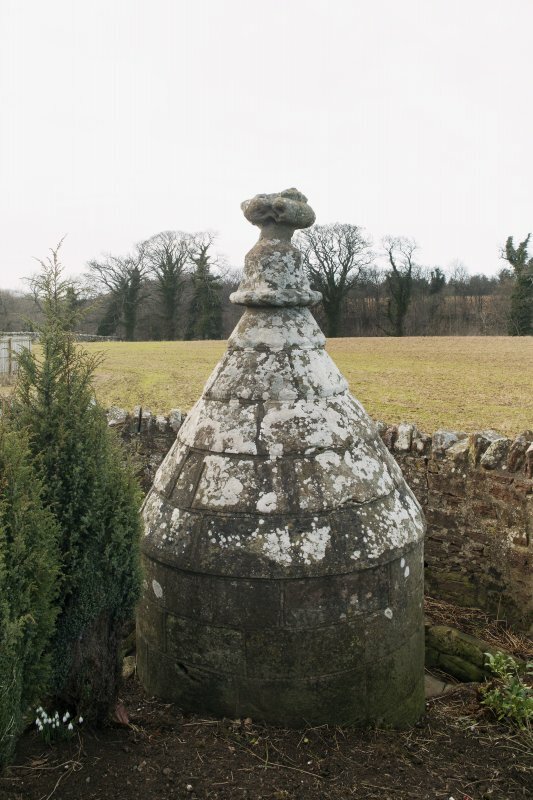 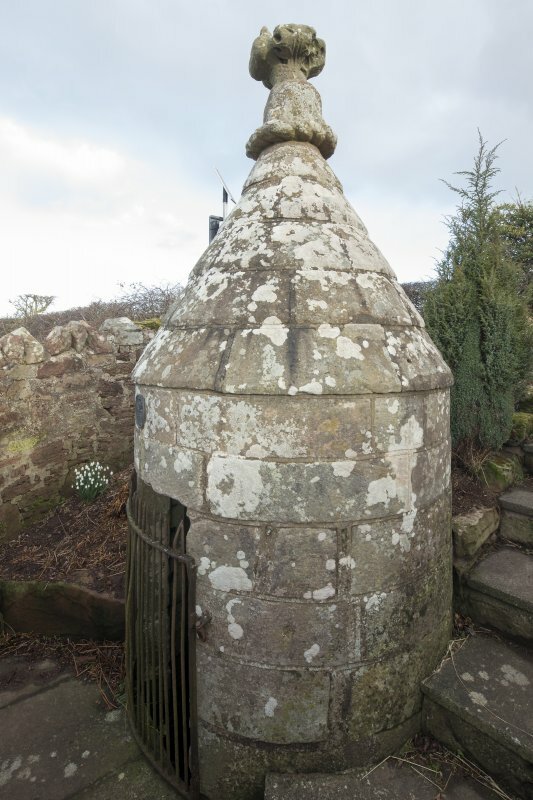 The Well of the Holy Rood, which has long been filled up, is enclosed by a small circular building, 3ft 10 ins internal diameter, with a doorway, and a conical stone roof, topped by a probably 14th c. flowered finial which is said to have come from the church (NT67SW 8), to which a paved path leads from the well. 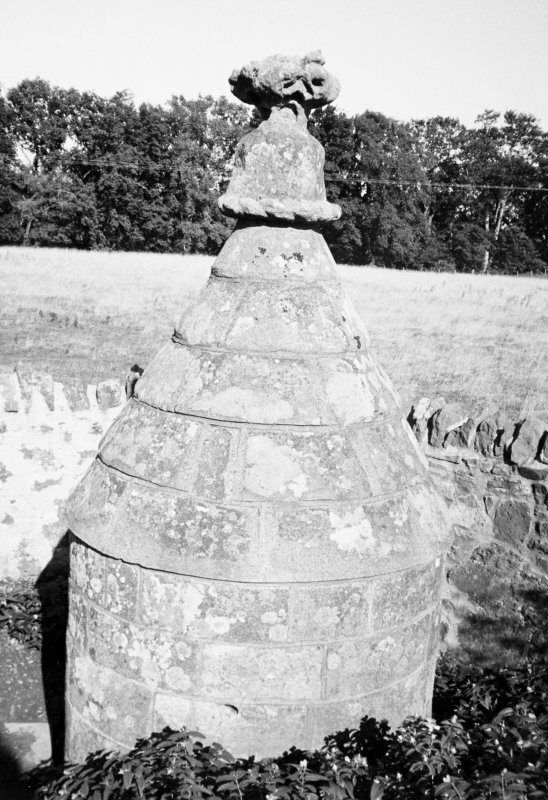 The well is generally as discribed by Walker: although partially filled-in, water can still be seen. 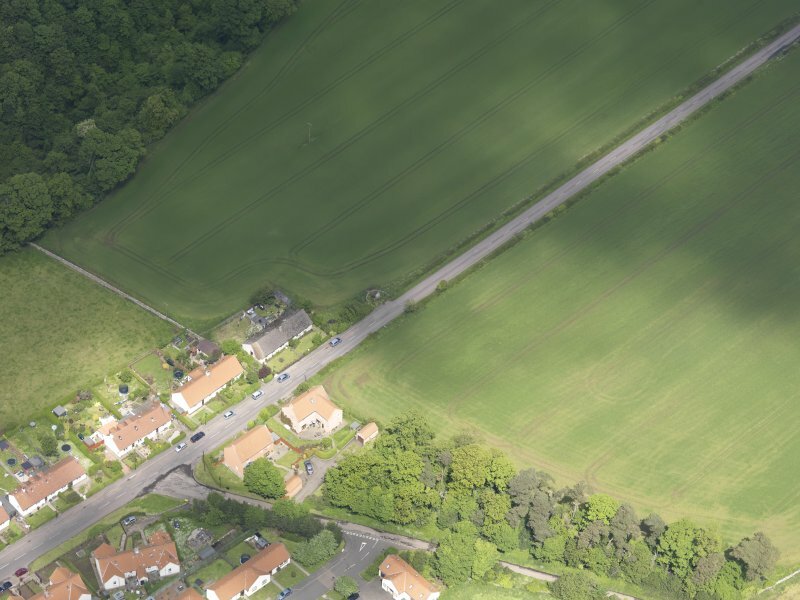 The path to the church no longer exists.